Recently there was a petition on the web in Korea trying to garner about 100,000 signatures in order for a showcase hosted by Lee Seung Hwan to be held. Netizens gathered together and pulled the 100,000 signatures. The showcase time and place was announced today. Many of you may or may not know this but Park Shin Hye used to be in Dream Factory, the agency own by Lee Seung Hwan himself and even starred in several of his music videos and recently took part in his album. 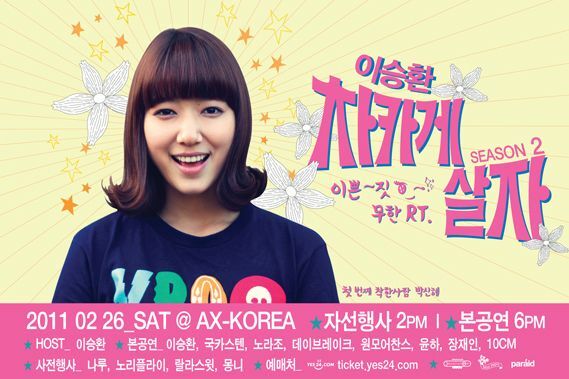 As a friend of Lee Seung Hwan, for this showcase, he has invited her, as a guest, to take part in this event. Only people aged 15 or above are allowed.